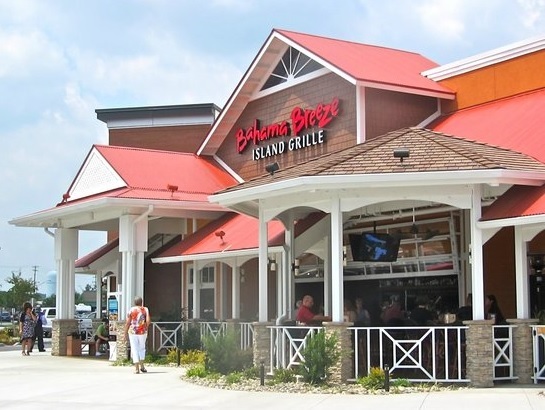 BAHAMA BREEZE brings you the feeling of a Caribbean escape! We offer the food, drink and atmosphere that you would find in the islands. Caribbean food is all your favorites; seafood, chicken and steak with the flavors and colors of the islands. Popular dishes include: coconut shrimp, jerk chicken pasta, ribs with guava barbecue sauce, key lime pie and more! Click here for FULL MENU and HAPPY HOUR MENU. The best parties are spent in the islands! Make this year's holiday party a tropical one. Customize it with tropical cocktails, casual appetizers or a sit-down dinner, and live music to keep things spirited. Spend $500 or more on a contracted island event and EVERY GUEST in your party will recieve a $10 Bonus Card to be used on your next visit! Qualifying event must be held between October 31 - December 24, 2017.